Hijama Clinic | Ruqyah Service. What is Ruqyah and what are the different types? Ruqyah is a vast subject and covers many topics such as Sihr (Magic) Masaha (Possession) and Ayn (Evil Eye). We have presented a basic outline in regards to what is Ruqyah and how it is related to us via the Sunnah. Ruqyah is the treatment relayed to us by the Prophet Muhammad (saw) for afflictions such as Sihr (Magic) Masaha (Possession) and Ayn (Evil Eye). For more detailed information on these conditions, visit the Magic, Possession and Evil eye page. To translate Ruqyah as 'incantation' may bring to mind connotations of magic and sorcery which are forbidden in Islam. To use the term "By spiritual means" may not convey the meaning in full. [See Ismail L.Faruq's Translation]. In brief, Ruqyah is a Quranic therapy for issues pertaining to the heart, mind and soul. With regard to the du'aa' that is prescribed for the Muslim to say if he wants to recite Ruqyah for himself or for someone else, there are many such du'aa's, most common are Al-Fatihah and Al-Mu'awidhatayn. A group of the Companions of the Prophet (peace and blessings be upon him) set out on a journey and traveled until they came near one of the Arab tribes. They asked them for hospitality but they were refused. Then the leader of that tribe was stung, and his people tried everything to cure him but nothing helped. Then some of them said, "Why don't you go to those people who are staying (nearby)? Maybe one of them has something." So they went to them and said, "O people, our leader has been stung and we have tried everything and nothing helped him. Do you have anything?" One of them said, "Yes, by Allah. I will perform Ruqyah for him, but by Allah we asked you for hospitality and you did not give us anything, so we will not perform Ruqyah for you unless you give us something in return." So they agreed on a flock of sheep, then he started to blow on him and recite Al-hamdu Lillahi Rabb il-'Alameen. Then he recovered quickly from his complaint and started walking, and he was completely cured. After that they took the flock of sheep, and some of the companions of the Prophet (peace and blessings be upon him) said, "Let us share it out." The one who had performed Ruqyah said, "Do not do anything until we come to the Prophet (peace and blessings be upon him) and tell him what happened, and we will wait and see what he tells us to do." So they came to the Messenger of Allah (peace and blessings be upon him) and told him what had happened. He said, "How did you know that it is a Ruqyah?" Then he said, "You did the right thing. Share them out, and give me a share." And the Messenger of Allah (peace and blessings be upon him) smiled. (Al-Bukhari and Muslim). The du'aa's that have been narrated in the Sunnah include the following: It was narrated that Ibn 'Abbas (may Allah be pleased with him) said: "The Prophet (peace and blessings be upon him) used to seek refuge for al-Hasan and al-Husayn, and he would say, 'Your father [ meaning Ibrahim peace be upon him] used to seek refuge with Allah for Isma'il and Ishaq with these words: A'udhu bi kalimat Allah al-tammah min kulli shaytanin wa hammah wa min kulli 'aynin lammah (I seek refuge in the perfect words of Allah, from every devil and every poisonous reptile, and from every evil eye).'" (Al-Bukhari). To exorcize the Jinn is obligatory according to the principles of repelling oppression, aiding the oppressed, enjoining righteousness and forbidding evil, just as it is with humans. A question was posed to Ibn Taymiyah (ra) regarding the subject, he expressed: "In (exorcism) there is also alleviation of grief and suffering of the oppressed." Allah's Messenger (saw) is reported by Abu Hurayrah in Sahih Muslim (vol: 4, no: 6250) to have said: "Whoever relieves a believer of one of the tragedies of life, Allah will relieve him of one of the calamities of the Day of Resurrection." Jaabir (ra) also reported in Sahih Muslim (vol: 3, no: 5456) that when Allah's Messenger (saw) was asked about incantation, he replied: "Whoever among you is able to help his brother, he should do so." As we will see below, all forms of Ruqyah reported in the Sunnah satisfy this condition. They either consist of specific portions of the Quran, such as al-Fatiha or Ayat ul-Kursiy, or contain a praise of Allah (swt) and an invocation of His help and protection. Similar to our earlier discussion of medicines, one must always believe that the true and ultimate protector is Allah (swt) alone, and that Ruqyah and medications are means that He created and He controls as He wills. Thus trust must be put in Him and not in the means that He created. Allah (swt) commands His Messenger (saw): So seek refuge with Allah (only); verily, it is He who is all-Hearer, all-Seer. (Al Ghafir 40:56). Various forms of supplications for prevention or healing, some of which may be classified as Ruqyah, have been presented in this site. In what follows, we include some more, or refer to earlier ones, as the discussion warrants. Abu Sa'id al-Khudri (RA) reported that Jibril came to the Prophet (saw) and said:, "O Muhammad, are you sick?" He replied, 'Yes.' He said: "Bismillahi arqik, min kulli shayin yuthik, min sharri kulli nafsin aw ayni hasid - With Allah's Name I shelter you (give you ruqyah), from all that ails you, from the evil of every soul, or that of the envious eyes. May Allah cure you; with Allah's Name I shelter you." Muslim. 'Aishah (RA) reported that Allah's Messenger (saw) came into her house and saw with her a woman who was treating her with ruqyah. He told her: 'Treat her (only) with Allah's Book.' Recorded by Ibn Hibban; verified to be authentic by al-Albani in as-Sahihah no. 1931. 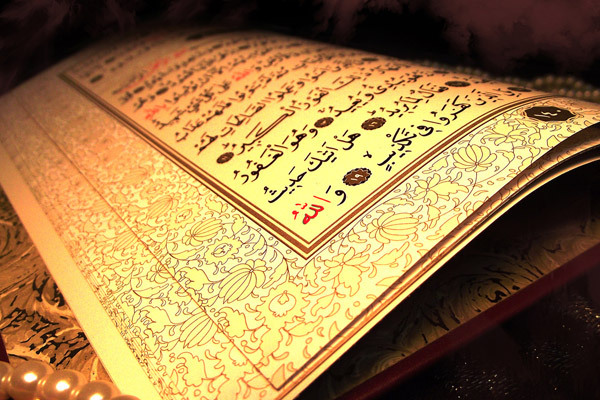 In what follows, we present Ruqyah with specific Surahs or ayat as is recorded in the Sunnah. Abu Sa'id al-Khudri and Ibn Abbas (RA) reported that a number of the Prophet's (saw) companions were on a journey. They stopped one night by the dwellings of a (non Muslim) bedouin tribe, who refused to host them and give them food. The chief of that tribe was then stung (by a snake or scorpion). His people tried everything possible to treat him but to no avail. One of them suggested to seek help from the travellers. When they came to them, one of them said, "By Allah, I can perform ruqyah; but you have refused to host us. So I would not perform the ruqyah until you pledge to give us an offering." They agreed to give them a flock of thirty sheep and the companion started blowing (with light spit) on the stung man's sting and reading al-Fatiha. He was immediately cured, like one who was tied and then set free. He stood and walked as if nothing happened to him and they gave them their pledged offering. Some of the companions said, "Let us divide this flock among us." Others said, "No, you may not take any pay for reading Allah's Book! Let us not divide the goats until we reach the Prophet (saw), tell him what happened and see what he commands us." It's amazing to see the new breed of internet Raaqis using the above hadith to charge for Ruqyah. Note how they twist the hadith in their favour, yet you go to them for allegedly being sincere in religion. How is it possible to conclude from the above hadith, that you can charge a Muslim for Ruqyah when it is specifically referring to charging a non-Muslim. This is either a lack of sincerity or a lack of knowldge and in many cases both. So a simple test would be to call your Raaqi up and ask them for the evidence for charging a "Muslim". If they quote the above hadith - you need not talk any further with them. Such Raaqis should be avoided, they simply take advantage of the vulnerable. 'Aishah (RA) reported: "When Allah's Messenger (saw) went to bed, he would bring the palms of both hands together, and blow into them while reading "Qul huwa Allahu ahad" 112, "Qul a'udhu bi rabb il-falaq" 113, "Qul a'udhu bi rabbi n-Nas" 114. He would then rub with them whatever he could reach of his body, starting with his head, face, and the front part of his body. He would do this three times. When he got very ill, he asked me to do that for him." Al Bukhari and Muslim. Ubayy Bin Ka'b narrated that he had a harvest of dates. He noticed that it shrunk every day, and decided to watch it at night. He did and noticed a beast that looked like a boy who attained puberty. He gave him salam, and it responded to him with salam. He asked it, "Are you human or jinn" It replied, "Jinn." He told it, "Show me your hand." It showed him its hand, and he saw that it looked like a dog's, with fur like that of a dog covering it. He exclaimed, "Is this how jinn are like!?" It then told him, "All jinns know that there is no one among them stronger than me." He asked it, "What brought you here?" It replied, "We have been informed that you like to give charity, so we came to get some of your food." He asked it, "What would protect us from you?" It replied, "This ayah from Surat ul-Baqarah: (Allahu la ilaha illa huwa Al-Hayy ul-Qayyum,) (2/255) - whoever says it in the evening will be protected from us until the morning, and whoever says it in the morning will be protected from us until the evening." In the morning, Ubayy came to Allah's Messenger (saw) and told him of that incident. He told him, 'The evil one has said the truth!' Recorded by An-Nasai. From the hadith relating that a companion of the Prophet (saw) performed Ruqyah and was paid for it many people justify being paid for Ruqyah, whilst this is acceptable it is also important to note from the same hadith that the chief of the Arab tribe was healed first. And only then did he pay the companion however we find many people charging each time they see a patient whether they are cured or not. For those who propose charging for each session regardless of a cure we say this creates a conflict of interest one could well ask are they really interested in the cure of the patient because if they cured the patient first time their income is reduced why cure someone the first time when they could charge them for 3 times or more! Others drag out charging a person for their time and effort for for recited water or herbs etc. We advise its best to agree to a charge before hand and if a person is cured then payment is due if they are not then no payment should be due, as we doubt very much the desert chief would have paid anything if he was not cured. If however a person feels a genuine effort was made by the Raaqi then they can donate whatever is easy for them. Ibn 'Abbas once said to me, "Shall I show you a woman of the people of Paradise?" I said, "Yes." He said, "This black lady came to the Prophet (saw) and said, 'I get attacks of epilepsy and my body becomes uncovered; please invoke Allah for me.' The Prophet (saw) said (to her), 'If you wish, be patient and you will have Paradise; and if you wish, I will invoke Allah to cure you.' She said, 'I will remain patient' and added 'but I become uncovered, so please invoke Allah for me that I may not become uncovered.' So he invoked Allah for her." - Bukhari Book 7, Volume 70. The above a hadith is referring to medical epilepsy, we cannot imagine the Prophet (saw) leaving a woman possessed by Shaytaan and telling her to have patience. If the Prophet (saw) had prayed for her it would have been classed as a miracle like praying for a blind person to see etc, instead he advised her to be patient with her condition. This is in no way related to epilepsy that is caused by the shayateen possessing a person, which is obligatory to treat, according to the principles of repelling oppression and aiding the oppressed. Not everyone will be cured first time. However we believe if Ruqyah is done competently then inshallah with the permission of Allah you should be cured. As you know treating an illness consists of 2 parts, diagnosis and treatment. It may be in some cases that either of these components is lacking. It may be that the initial diagnosis may not have been entirely correct, therefore leading a person to actions that did not deliver a cure. Or it may simply be the treatment needs to be adjusted. It is also worth noting in certain cases the patient mabybe doing things contrary to the treatment. For more detailed information on this topic, please visit the Ruqyah Myths page. I have been to a few Raaqis and they have tried to help me but to no avail and they have said it is due to strong magic or stubborn Jinn ? We believe the fact that you have not been cured is not due to the strength of the Jinn or Magic but rather the weakness of the Raaqi, either in terms of his knowledge or technique in treating you. There is nothing more powerful than the verses of Allah but we must know how to use and apply them in removing the Jinn or Magic. Not every Raaqi will be able to extract or deal with every type of Jinn or Magic and we would advise the Raaqi who fail to cure a person to stop using these terms, as they make a person feel weaker in their illness and denote strength for the disbelieving shayateen Jinn. And we know Allah says: "verily the plot of shaytaan is weak" but rather it would be more appropriate for the Raaqi to acknowledge their own limitations and refer you to someone who may have more knowledge and experience than them. Many people affected by Jinn either through a lack of knowledge or sheer desperation at times search for cures to Jinn, Jadoo, Jadu, Sihr, Voodoo, Black Magic or whatever they wish to call it, by going to magicians who basically do more magic! And in most cases make the situation worse by adding further magic to suppress the initial magic. But this is rarely effective and we would advise two wrongs do not make a right. Hijama Clinic offer a specialist Ruqyah, please contact us for further information.